AJ Kern, a small business owner and outspoken critic of US immigration policies, announced she will challenge Congressman Tom Emmer in Minnesota's Sixth Congressional District. In an interview yesterday, Kern said the St. Cloud area is in a "death spiral" because of the influx of "English language learners." School districts are failing, the number of rental properties are increasing, and the property values of individual homes are dropping because of refugees moving into the Sixth Congressional District, said Kern. In a statement released by his campaign, Congressman Emmer said "every citizen of this great country has the right to seek public office." 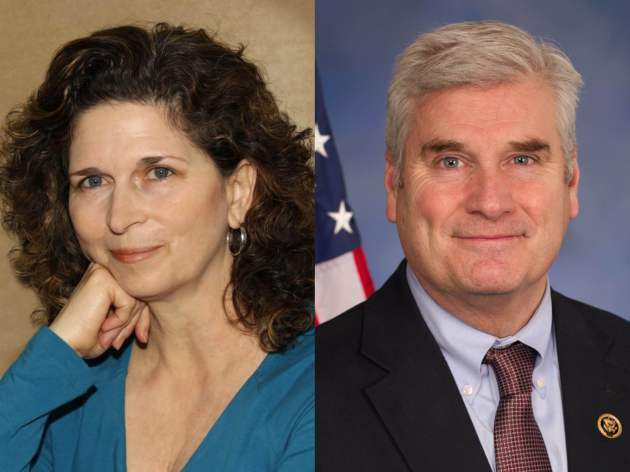 Emmer added, "I give my all every day to do the best job possible for all the people of the 6th district and Minnesota and will humbly ask for their continued support." Kern moved to Minnesota in 2003 and lives in Sauk Rapids with her husband. Kern graduated from Montana State University and also has a master's degree from the University of Wyoming. Kern served in the U.S. Army Reserve and she unsuccessfully ran for the Sauk Rapids school board in 2010.